Promote your company doing the activity you love the most, drinking beer! This Beer Stein can have your custom logo imprinted onto it to display and promote your personalized image. 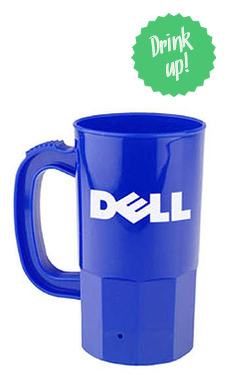 This Stein can have your image added on both sides to display your logo despite which hand you hold it in. This is a great way to promote your logo everywhere you go. This stein is made from a durable plastic that will not break easily. This high quality finish is a great tool to promote your business everywhere.